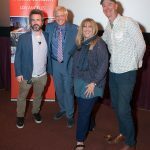 The new time travel comedy starring Harry Lennix (‘The Blacklist’ & ‘Batman v Superman’) and Rick Shapiro (‘Project X’ & ‘Maron’) celebrated its US premiere as the only German feature at Hollywood Reel Independent Film Festival. ‘Timeless’ was awarded ‘Best International Film’ and director Alexander Tuschinski received the prize in person. Other winning films at the festival included ‘An Undeniable Voice’ (‘Best Documentary Short,’ produced by Sharon Stone) and ‘Poisoning Paradise’ (‘Best Documentary Gilm,’ produced by Pierce Brosnan). ‘Timeless’ was filmed in Germany and had its world premiere in November 2016 at Paris Independent Film Festival in France. Its German premiere took place on February 11 at Berlin Independent Film Festival. ‘Timeless’ dissects the nature of power and ideologies during its 108 minutes runtime. 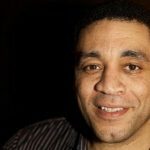 American stars like Harry Lennix and Rick Shapiro along international screen legends like Helmut Berger (‘Ludwig’ & ‘The Damned’), Angus Macfadyen (‘Braveheart’ & ‘Equilibrium’) and Zachi Noy surprise in unexpected major roles. ‘Timeless’ does not adhere to genre conventions: Slapstick-comedy intercuts with anarchist moments (like smashing an expensive car) and hard-hitting, realistic WW2 scenes – filmed with one of the last drivable Soviet T-34 tanks in Germany. ‘Timeless’ is written and directed by Alexander Tuschinski, a young, acclaimed German avant-garde filmmaker. His previous comedic works have been compared to the early works of Woody Allen and had worldwide success at international film festivals. ‘Timeless’ continues Tuschinski’s ‘Trilogy of Rebellion’ which started in 2010 with his film ‘ Menschenliebe.’ Famous film directors like Hugo Niebeling and Tinto Brass, along film scholars like Miles Kreuger, have praised Tuschinski’s works. Beside other projects, Tuschinski currently plans to film the feature ‘Revolution!’ in Germany as the final instalment of his trilogy.